Burwell says better-informed consumers are more likely to keep paying their premiums. (Bloomberg) — To reduce turbulence in the fledgling Patient Protection and Affordable Care Act (PPACA) public health insurance exchange system, the Obama administration’s top health official is pushing to get more information to consumers about what they’ll actually pay for health care, which can include out-of-pocket costs as well as premiums. The changes are meant to help people choose coverage that fits their needs when up-front premiums and out-of-pocket costs are added together, Health and Human Services (HHS) Secretary Sylvia Mathews Burwell said during an interview at Bloomberg News’s Washington bureau. Cases of patients signing up, paying for a time, and then dropping out of PPACA —Obamacare — have plagued insurers like UnitedHealth Group Inc. (NYSE:UNH), which has said it is debating whether to exit the government-run market to avoid more financial losses. PPACA has helped cover about 9.9 million people through subsidized markets for private health insurance. Yet the new markets have in some cases proven challenging for insurers and hospitals. Patients may stop paying after a medical event, or can show up in hospital emergency departments with coverage that offers low premiums in return for more risk later, leaving them unable to pay their bills. Sign-ups for 2016 coverage started on Nov. 1 and are set to run until Jan. 31. For the first time, the HealthCare.gov exchange enrollment and customer service website will show customers the cost of insurance premiums and also estimate what their actual health expenses will be. That will help people pick appropriate coverage, Burwell said, and it could keep them from dropping policies midyear, a problem known as churn that’s plagued insurers like UnitedHealth and Aetna Inc. (NYSE:AET). “The insurers are absolutely right that this has to be truly viable, it has to be a market where people intend to buy insurance for the long haul,” said Joseph Antos, a health care policy expert at the American Enterprise Institute, a think tank in Washington. Burwell’s interview came after UnitedHealth said last week that it was considering whether to pull out of the public exchange system because it’s losing hundreds of millions of dollars on sales of PPACA-compliant individual health coverage. Until recently, PPACA has been viewed as a boon to health care firms, sending them millions of new customers and creating paying patients for drugmakers and hospitals. The Standard & Poor’s 500 Health Care Index has more than doubled from the day President Barack Obama signed PPACA into law through Monday, beating the broader S&P 500 gauge. UnitedHealth, with fewer than 550,000 members on the PPACA exchanges, isn’t among the biggest health insurers in the program. But its experience could be a harbinger of things to come from other for-profit firms like Anthem Inc. (NYSE:ANTM) and Aetna. 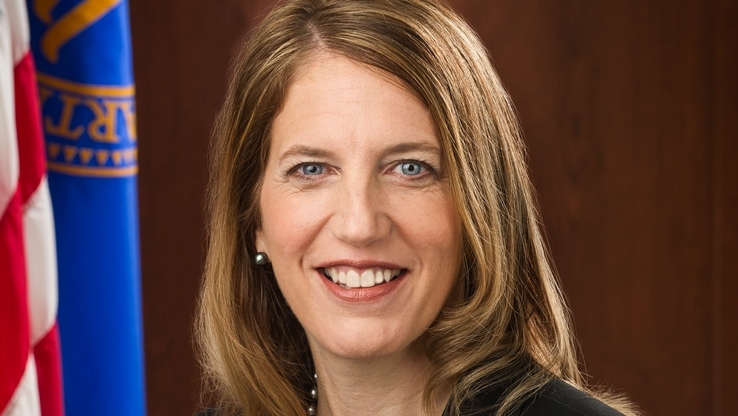 Burwell declined to talk about UnitedHealth specifically. But she pointed to Anthem’s statement last week saying it was committed to PPACA, and similar remarks from insurers such as Kaiser Permanente and Molina Healthcare Inc. (NYSE:MOH), as a sign that there are plenty of firms willing to participate in the law. Hospitals have faced their own issues, as for-profit chains HCA Holdings Inc. (NYSE:HCA) and Tenet Healthcare Corp. (NYSE:THC) have said they’re seeing an increase in uninsured patients. HCA said the number of uninsured people admitted to its hospitals climbed 13.6 percent in the third quarter, compared with a year earlier, while Tenet said its uninsured and charity admissions rose 3.7 percent. Those reports sparked investors worries that the law’s gains in covering the uninsured are slowing. Burwell said that while the U.S. had predicted only a modest increase in PPACA exchange sign-ups for next year, much of that was because people were keeping coverage they had through their jobs, helped by an improving economy. —With assistance from Melissa Mittelman.